The library in your pocket? Review Amazon's Kindle Fire tablet was always going to grab the headlines when the retailer revamped its e-book reader line-up last month. But for many book buffs, its low-cost E Ink devices were more interesting. Amazon has been aggressively driving down reader prices, and its entry level Kindle 4 - aka the 'Kindle Touchless', a nod to its touch-sensitive sibling, the Kindle Touch - is the cheapest reader the retailer has ever offered. Comparisons with the 'cheap razor, expensive razor blade' model have been well detailed elsewhere. The Kindle is inexpensive because Amazon hopes to make its money by selling e-books, and that's all you need to know about why it's so much cheaper than other (decent) readers. 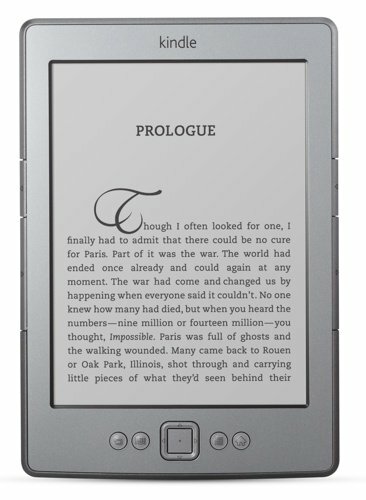 And the new Kindle is cheap - just £89 - and it makes buying and reading e-books very easy indeed. Not as spur-of-the-moment as the 3G-enabled Kindle 3 - this is a Wi-Fi only device - but with home wireless so ubiquitous, leaving the cellular radio out is a reasonable trade-off to get the price down. Ditto halving the storage capacity from 4GB to 2GB, though the space available for e-books is smaller still: 1.35GB when you've deleted the user guide and one of the two dictionaries Amazon bundles. Don't get hung up on storage capacity. Even 1.35GB is enough space for more than 1200 books - I have a fraction of that on my 4GB Kindle 3. You've really got to be a hoarding-for-hoarding's-sake merchant to consider 2GB too small. And you won't be storing MP3s and such on the Kindle 4. 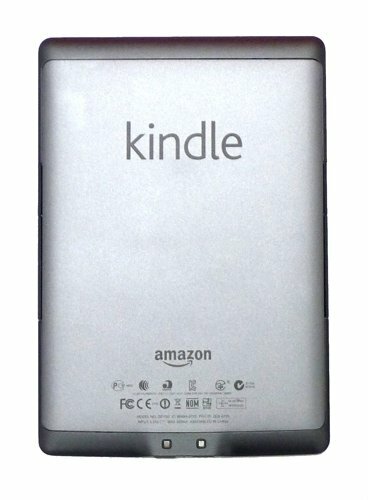 The 3.5mm jack seen on previous Kindles has gone. Ditto the volume control and the text-to-speech function. The old power slider is out too, replaced by a button - a better control, I think. Micro USB remains the file transfer and charging mechanism - but don't expect a USB AC adaptor to come with it; all you get bundled with the Kindle is a cable. Gone too, many of you will be pleased to know, is the dead author screen saver, replaced by a more neutral array of textures built out of photos of everyday writing implements.